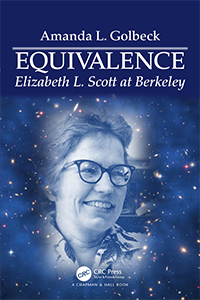 Equivalence: Elizabeth L. Scott at Berkeley (Chapman and Hall/CRC Press, 2017) by Amanda Golbeck ’74 is the compelling story of one pioneering statistician’s mammoth and relentless 20-year effort to promote the status of women in academia and science. Part biography and part micro history, the book provides the context and background to understand Scott’s penchant for, and masterfulness at, using statistics to help solve societal problems. 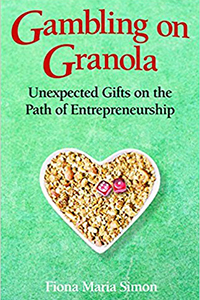 Fiona M. Simon ’87 published a business memoir, Gambling on Granola: Unexpected Gifts on the Path of Entrepreneurship (Terra Nova Books, 2018), sharing her uplifting and inspiring tale of the products and company she created while following her dream. 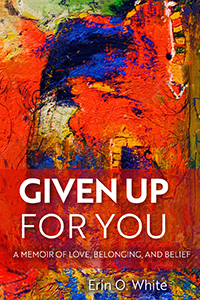 Given Up for You: A Memoir of Love, Belonging, and Belief (University of Wisconsin Press, 2018) by Erin White ’95 is a candid memoir about her hunger for both romantic and divine love and how these desires transformed her life. 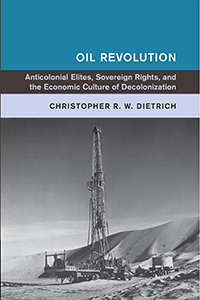 Chris Dietrich ’01, assistant professor of history at Fordham University, analyzes the new community of oil elites in Oil Revolution: Anticolonial Elites, Sovereign Rights, and the Economic Culture of Decolonization (Cambridge University Press, 2017). 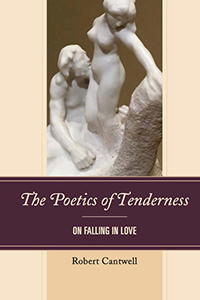 The Poetics of Tenderness: On Falling in Love by Robert Cantwell ’66 has been published by Lexington Books (2017). The book’s aim is to turn the discussion of sexuality around — to substitute ideas of violence and predation with care, affection, beauty, memory, worthiness, and ideality. Susan Klein D’Alessio ’63 is showing artwork in the Philadelphia area, with her acrylic painting “Invaders Red #2” at the Cerulean Arts Gallery in July and her participation in the Philadelphia Open Studio Tour in October. Carl Pfirman ’83 edited a feature documentary film called Kusama — Infinity, which had its world premiere at the 2018 Sundance Film Festival. The film is one of only 16 films included in the U.S. feature documentary competition and is nominated for the grand jury prize. Kusama — Infinity describes how one of the world’s most celebrated artists, Yayoi Kusama, broke free of the rigid society in which she was raised and overcame sexism, racism, and mental illness to bring her artistic vision to the world stage. At 88, she lives in a mental hospital and continues to create art. Danielle Lussier, assistant professor of political science, was awarded a Book-Writing Leave Fellowship from the Global Religion Research Institute at the University of Notre Dame. Her project, “Mobilizing the Devout: Mosques, Churches, and Political Participation in Indonesia,” explores the relationship between individuals’ engagement in houses of worship and their political lives in Indonesia. 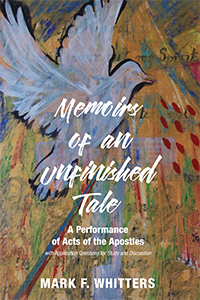 While the relationship between political participation and Christian religious life has been examined by many scholars, the topic has been underexplored in Muslim societies. Her work is thus poised to make real contributions to our understanding of political mobilization and the “democratic deficit” in Muslim-majority countries.